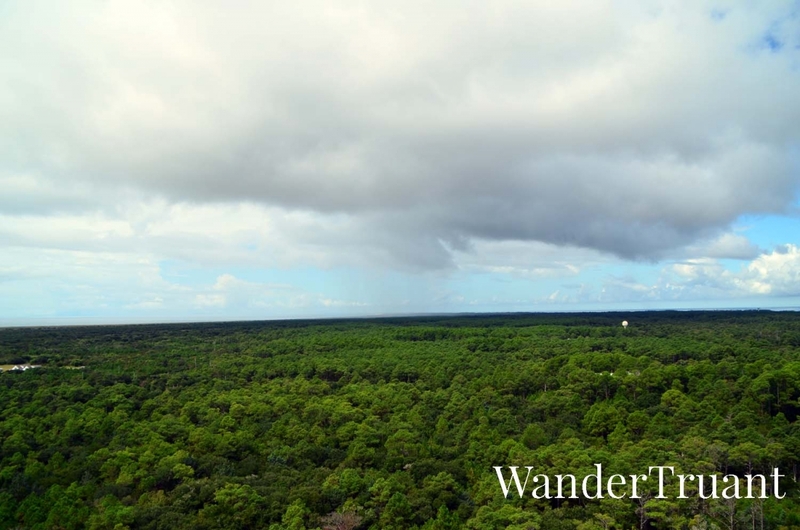 A visit to the Outer Banks would not be complete without a visit to the Cape Hatteras Lighthouse, one of the most iconic lighthouses in the United States. The 210 foot tall brick lighthouse is the tallest in America, and the 29th tallest in the world. The exterior is immediately recognizable, painted black and white diagonal swirling lines, mimicking that of a barber pole. 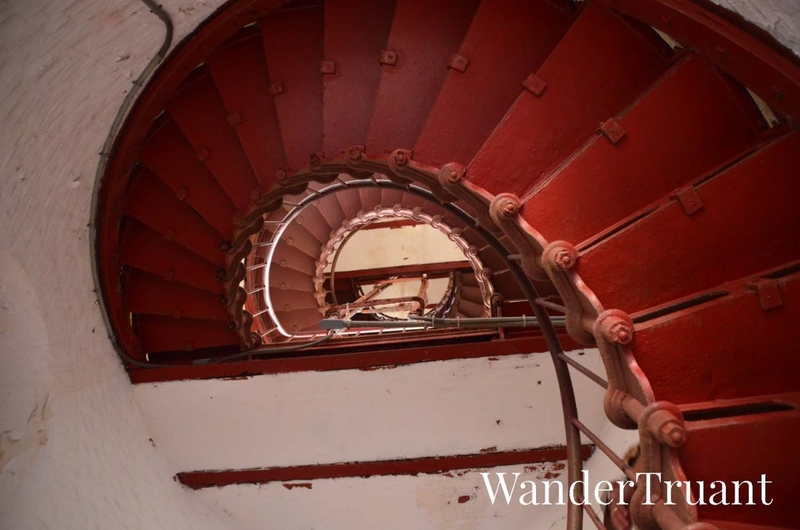 After climbing the Currituck and Bodie Island Lighthouses, I knew what to expect: lots of stairs, no air conditioning, and timed climbs. 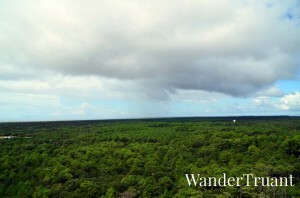 True to course, the Cape Hatteras lighthouse was exactly what I expected. Tickets were purchased for $8, and a line formed outside of the lighthouse entrance, where myself and other ticket holders waited until their timed climb. 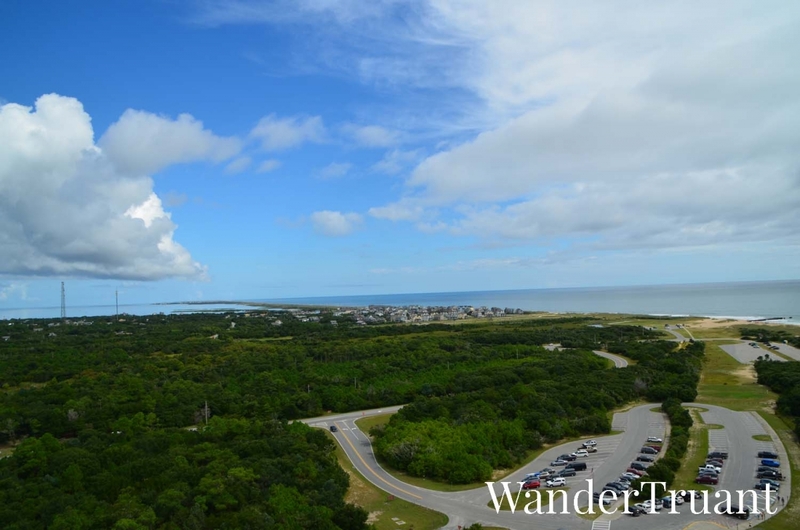 268 steps later, I reached the top of Cape Hatteras for another breathtaking view of the North Carolina coastline. After climbing the Currituck Beach Light and the Bodie Light, I felt a bit better prepared for ascending the many stairs of the Hatteras Light. Although I was still out of shape and a bit short of breath, the climb to the top was fairly easy and enjoyable, taking about 25 minutes to reach the balcony. 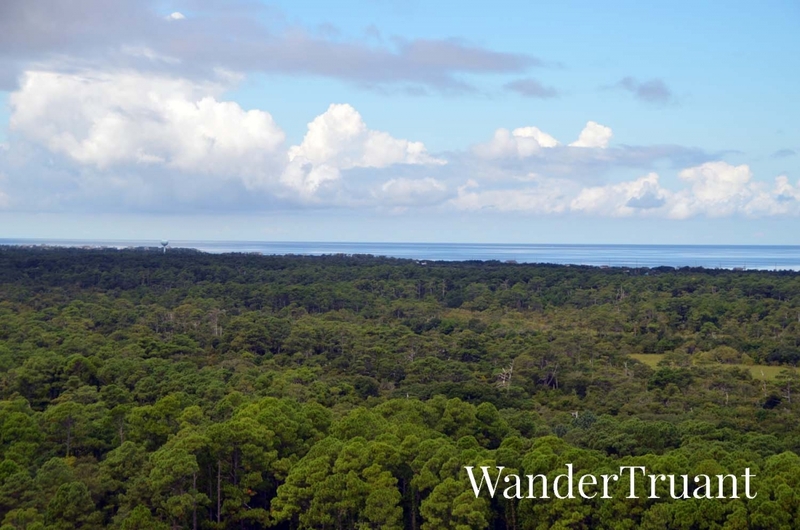 The Cape Hatteras lighthouse illuminates the area of Diamond Shoals, a hazardous area of shifting sandbars and colliding currents. The extreme number of shipwrecks gave the area the nickname “The Graveyard of the Atlantic”. Going inside of the beautifully restored keeper’s quarters on the grounds of the Hatteras Lighthouse gives a glimpse inside the many shipwrecks. An interesting exhibit inside of the keepers quarters, which have been turned into a permanent museum, show the history of the lighthouse, including the historic move of 1999 when the Cape Hatteras was moved inland 2,900 feet due to erosion of the shoreline. This move was a monumental feat of engineering, and is known as the “Move of the Millennium,” being one of the tallest masonry structures ever moved. 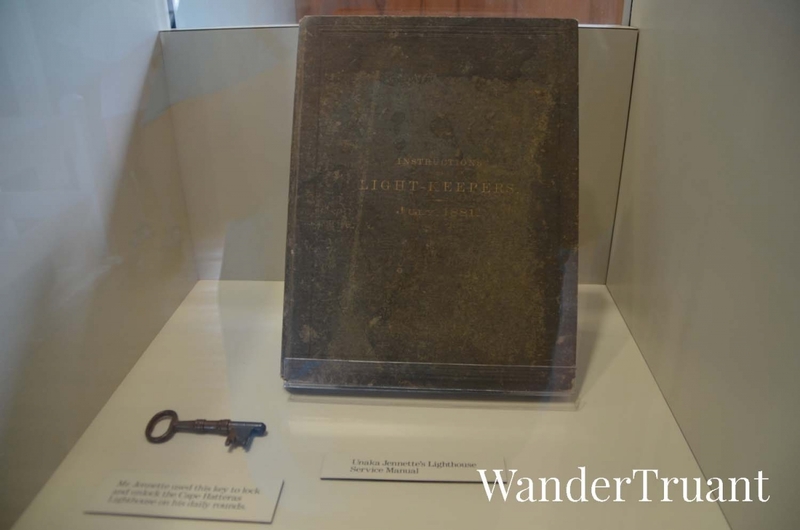 More fascinating exhibits inside of the museum include the original lightkeepers key and journal, as well as information on the lighthouses during the Civil War. Entry to this museum are free with your ticket purchase, and I highly recommend taking the time to browse – even though the museum inside of the lightkeepers quarters may seem small, there is a wealth of fascinating information within that is well worth the visit. Cape Hatteras was the last climbable lighthouse visited during my trip on the coast, but not the last light. 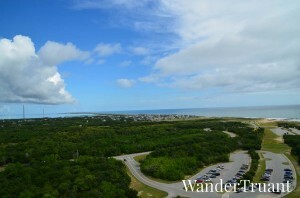 The Ocracoke Light, just a ferry ride away on Ocracoke Island is next. The tower looks a bit quirky with those spiral paintjob. Never seen a lighthouse like that one. I’ve never heard about this lighthouse but the exterior alone is enough to make it worth the journey – I love the stripes! So dramatic and perfect for photographs! On top of which, the view is definitely a bonus. Great post! I thought $8 was reasonable but a two for one is even better! The museum would be really interesting to me and wouldn’t mind checking out! I didn’t realize NC had the tallest lighthouse in the US! Nice! 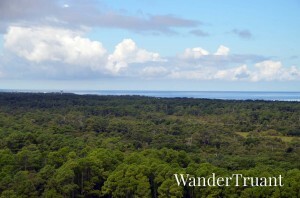 I want to plan a road trip that includes the Outer Banks. I have a friend that goes there every summer and her pictures are always gorgeous! I visited this lightthouse when I was a kid. I remember the staircases specifically. Eight year old me was not fond of heights either. The camera shot showing the spiral is really cool! 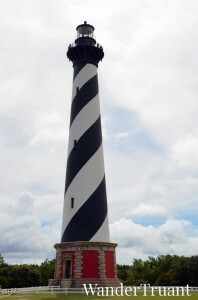 I enjoyed your post about the lighthouse at Cape Hatteras. I especially liked learning about the history of this lighthouse. I’ve never been there but plan to visit. I live near Virginia Beach, so basically within driving distance. Oh thank you! I definitely recommend visiting, it is worth a trip to go see! I have this thing for lighthouses and don’t remember to have seen one with that swirling stripes before. Is that usual there? Not usual. 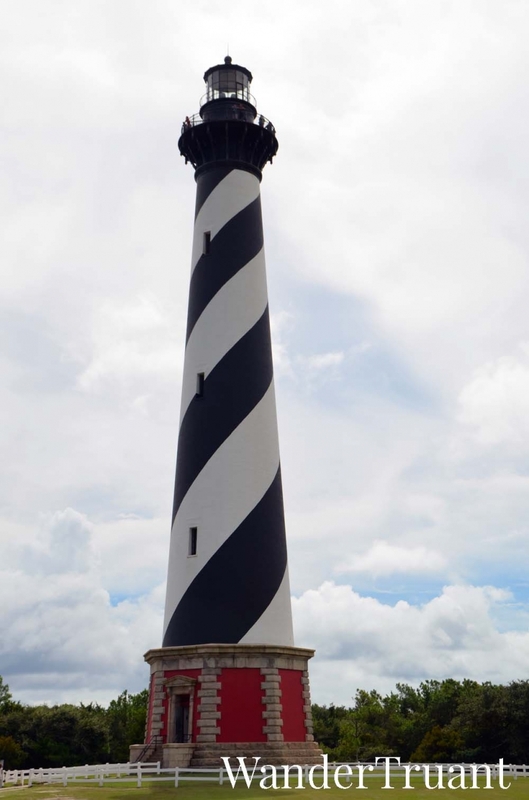 The lighthouses on the NC coast, since they are so densely placed (one about every 40 miles) have certain light patterns to differentiate each light. Each structure also has a very different paint job to visually differentiate each one, but the barber shop swirls on the Cape Hatteras light are very unique, even for a light house!